Trivia: In the editors duo, Tilak was none other than KB Tilak, the famous director of the later days. Synopsis: While out on a hunt, a king meets a beautiful woman (Anjali Devi) who turns out to be a demon. The king decides to marry her even after the objections of his wife and son (Akkineni). 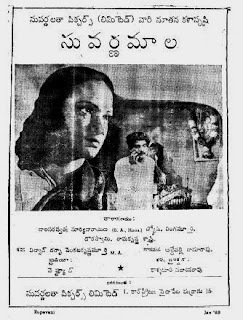 After the wedding, the demon sends her stepson (Akkineni) out on an impossible mission to retrieve a rare herb. He succeeds with the help of Keelugurram (flying horse). 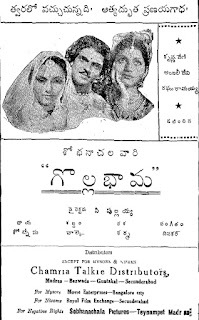 Trivia: Though he given tunes for 'Mana Desam' at first, Ghantasala's first released film was 'Keelugurram'. 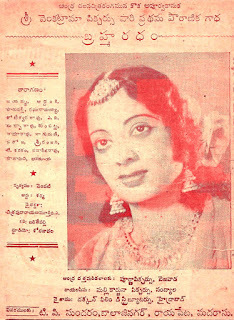 C. Krishnaveni, an actress and singer, given voice for song on Anjali Devi. 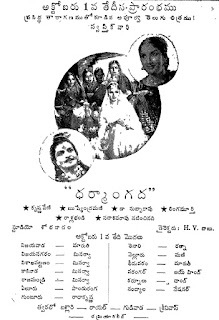 Trivia: This was based on the play VIDHYA RANI by Pingali Nagendra Rao. 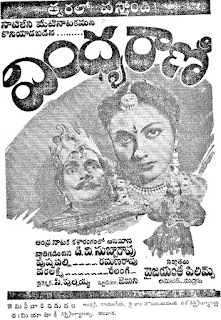 Trivia: This film had a 365-day run in Vijayawada and a 100-day run in another 12 centers. It created new records at the box-office. 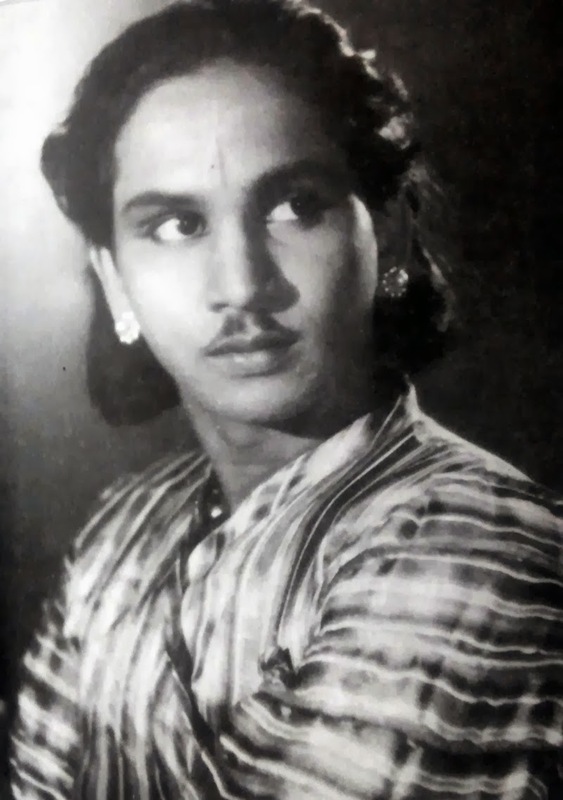 Initially Akkineni has sung the song 'cheliyaa kanaraavaa', but in the film, the producers opted the song rendered by Ghantasala. 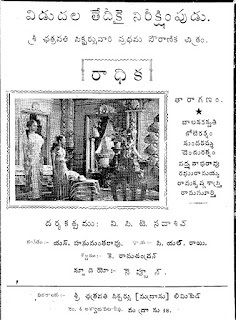 In the titles, his name appeared as GV Rao. S. Varalakshmi rendered 10 songs out of total 18 songs. 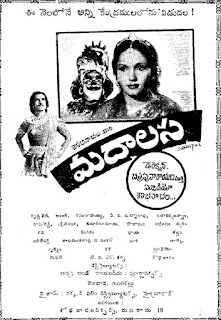 Trivia: This was debut film for Pendyala Nageswara Rao as a music director. 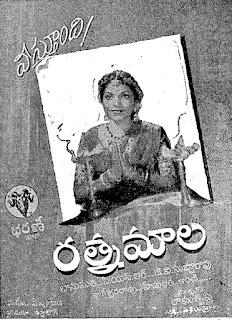 Tatineni Prakasha Rao, the associate director, directed the scenes of his guru LV Prasad. 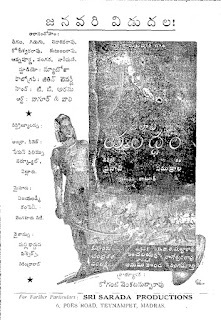 Synopsis: King Anugu of Palnadu has three sons - Nalagama Raju, Narasinga Raju and Malideva Raju from his three wives. Before his death, he anoints Nalagama Raju the king and leaves him to the care of his minister Brahmanaidu. 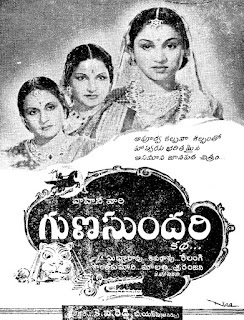 During Anugu's rule a wealthy and powerful woman Nagamma enters the kingdom. Brahmanna is a Vaishnavite, while Nagamma is a staunch Saivite. Progressive-minded Brahmanna allows Harijan entry into temples and appoints a Harijan, Kannama Dasu as the army commander. This irks the upper caste people and also the prince Narasinga Raju, who seeks the help of Nagamma. 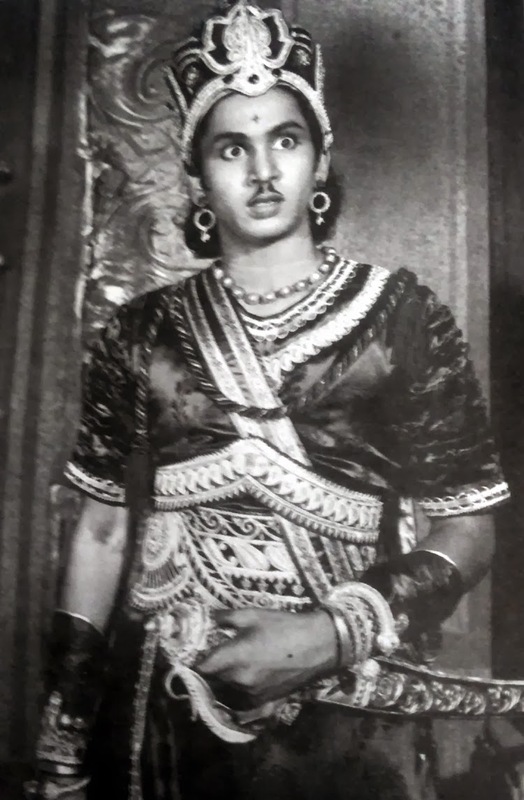 Trivia: This was Anjali Devi's debut film. 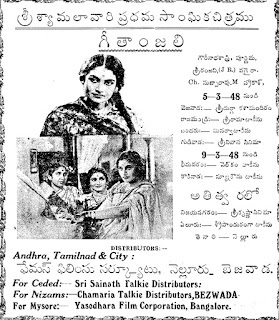 This movie was based on 'Kasi Majilee Kathalu' written by Madhira Subbanna Deekshitulu. 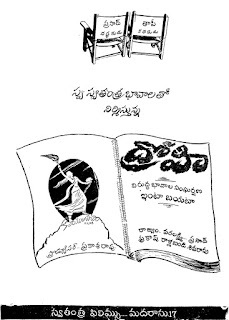 This was remade as 'Bhama Vijayam' in 1967.